He Hali`a Aloha No Lili`uokalani is the major event for September. More happenings in the future plus photographs of events in August are included in the September newsletter. To see all four pages of the newsletter, just click on the PDF link. What could be more fun on a summer day than sharing an icy treat made from fresh fruit? 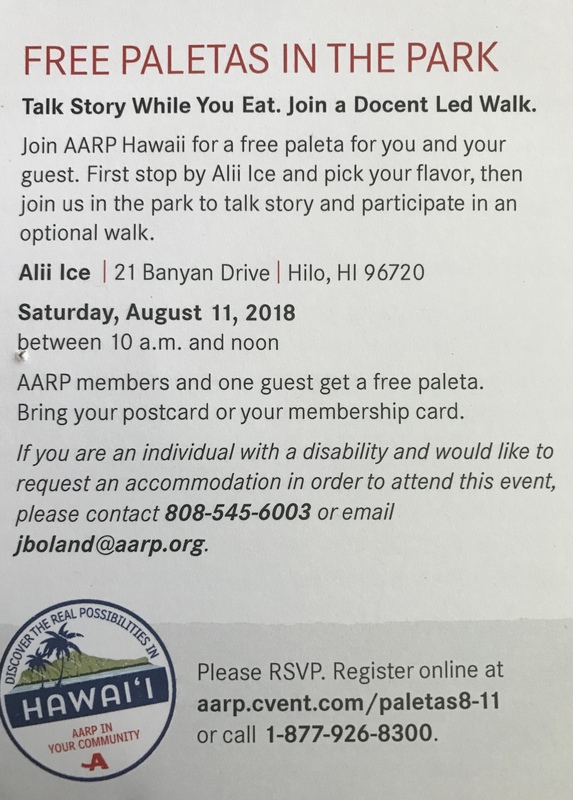 Well, add that to meeting other members of AARP and touring historic Lili`uokalani Gardens. 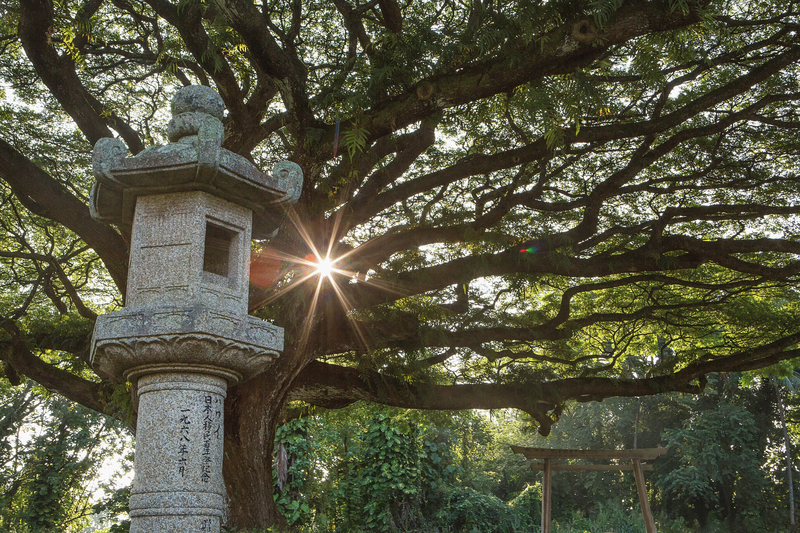 One of four torii, this gate leads to the southern side of Lili`uokalani Gardens where the new Lions Legacy Project was dedicated May 4, 2018. Pleasse follow the directions on the AARP card. The second side is reproduced below. Please wear gardening clothes and closed toe shoes. Some tools and gloves will be available for loan. There are weeds to pull, gravel to be swept, stones to be cleaned, leaves to be raked. All from 8:00 a.m. to noon on Friday, July 27. Refreshments provided. 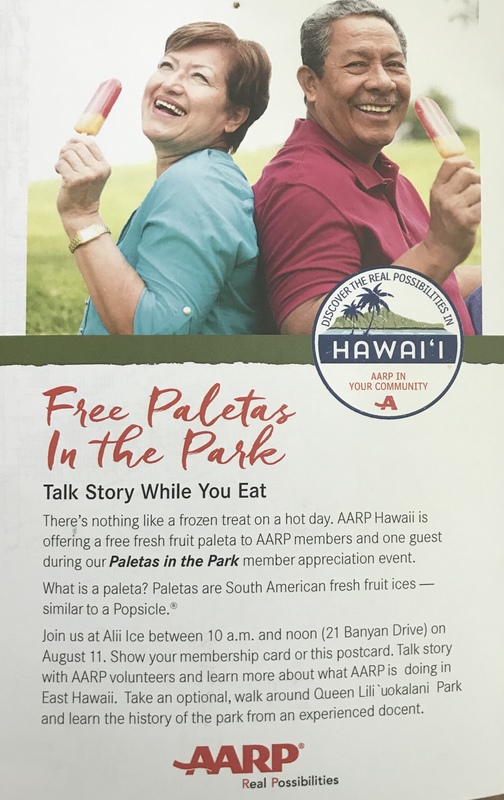 Meet in the southern shaded corner near Alii Ice and diagonally across from Suisan Fish Market. UPDATE: The next pond cleaning day is Saturday, March 17, from 8 a.m. to noon. The current tally on muck removed is 2,875 gallons. 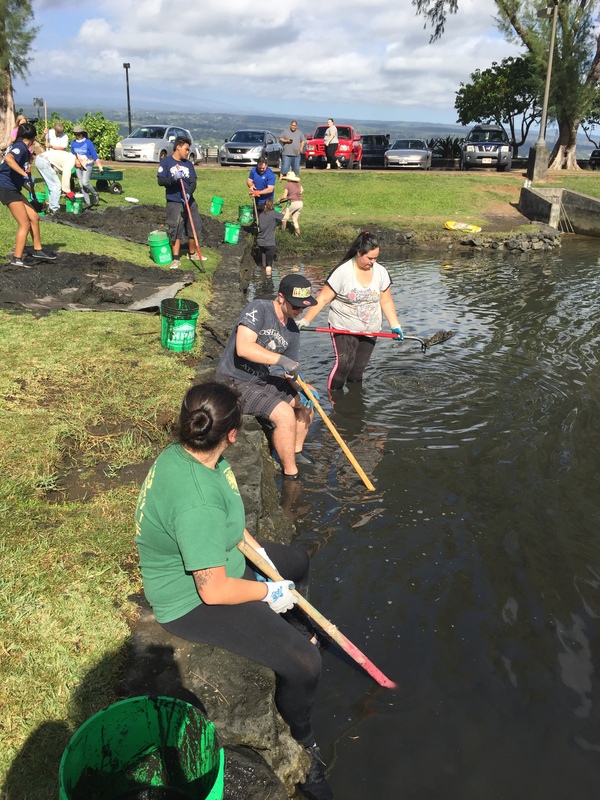 Cleaning Waihonu, the pond at the heart of Lili`uokalani Gardens, is top of the maintenance priority list for Friends of Lili`uokalani Gardens. 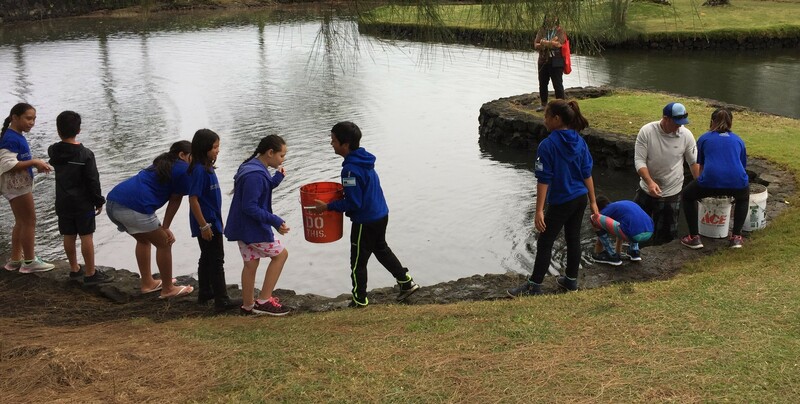 Starting in October 2016, Friends and volunteers under the direction of board member Alton Okinaka have removed more than 2,700 gallons of mud, muck, and debris. The next volunteer day is Saturday, January 27, from 8 a.m. to noon. There also are land-based chores for those who do not want to get in the pond. Some protective gear (gloves, tabi) are provided. Participants are advised to wear gardening clothes and closed-toe shoes. The effort has concentrated on removing muck immediately adjacent to the stone edging the pond and three feet from the edge into the pond. This will better enable future mechanized cleaning of the entire pond without further damaging the stone edge. Also on the removal list is an invasive seaweed called gorilla ogo (Gracilaria salicornia). As the invasive is removed, native seaweed growth is restored. 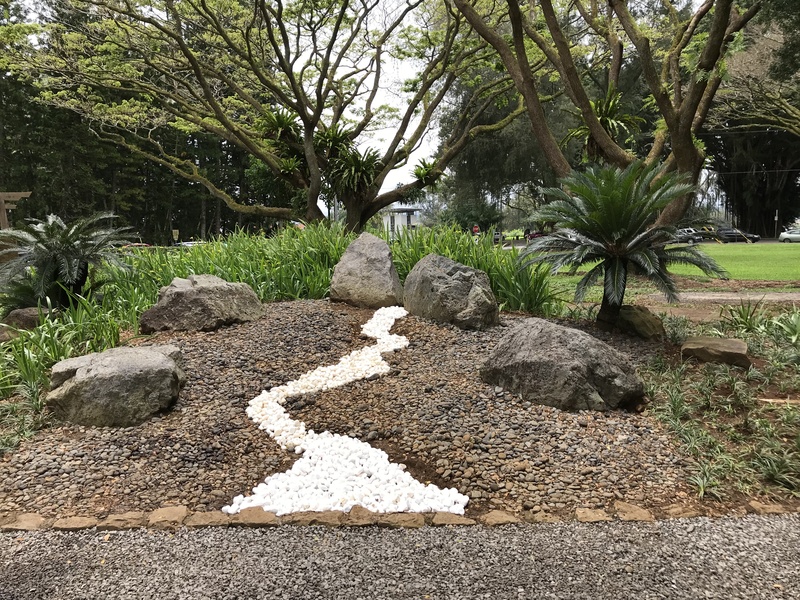 Repair of the stone edge around the pond including restoration of a suhama (smooth stone beach) on the bay side goes hand in hand with pond remediation. Having a healthy pond is part of restoring the more desirable fish populations. 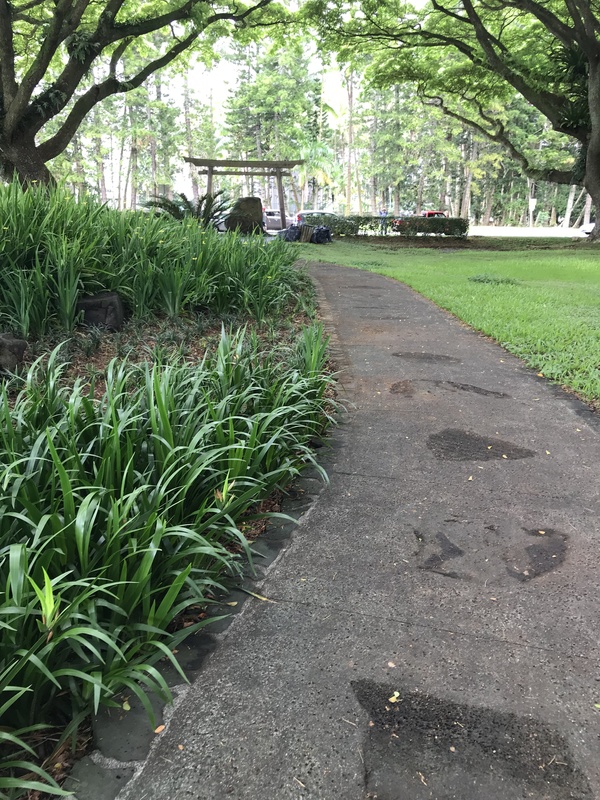 To volunteer for this or future garden work days, please refer to the Friends of Lili`uokalani Gardens page on Facebook or contact Alton Okinaka at alton@hawaii.edu or telephone (808) 383-4917. 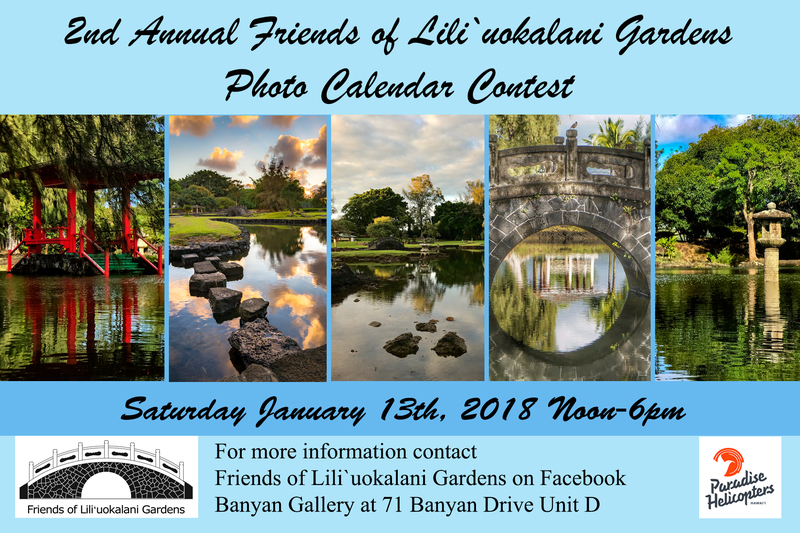 Friends of Lili`uokalani Gardens is a 501(c)(3) non-profit operating on a Memorandum of Understanding with the County of Hawaii Department of Parks & Recreation. 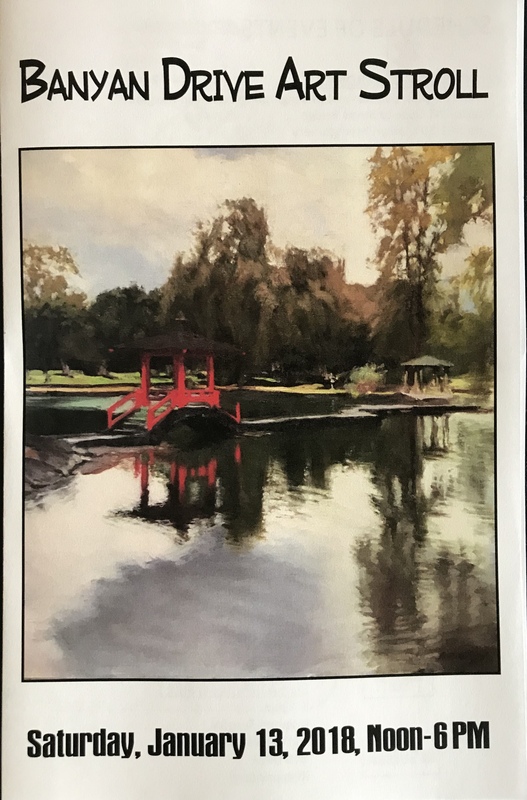 Friends work to provide maintenance on special projects, raise funds for capital improvements, and plan events to celebrate the centennial of the gardens 2017-2019. 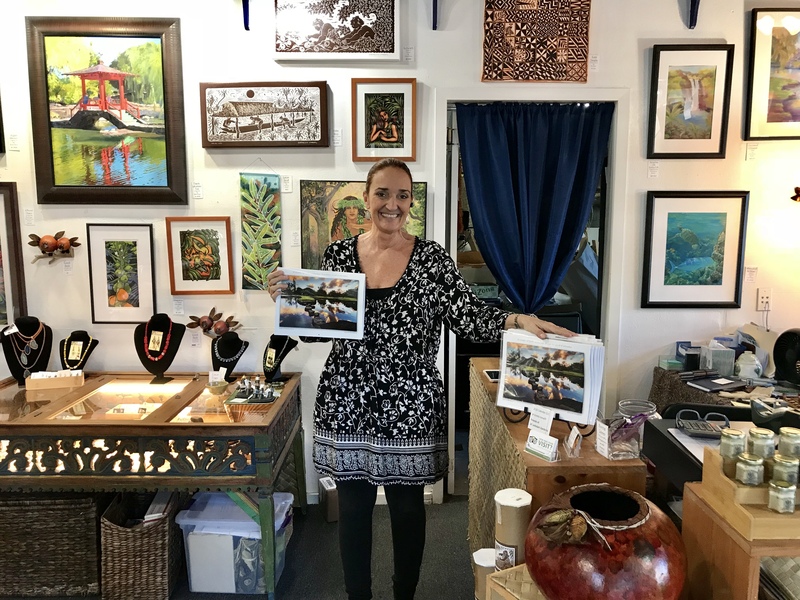 Two photographers have taken top honors in the People’s Choice category during the second annual Banyan Drive Art Stroll held Saturday, January 13. 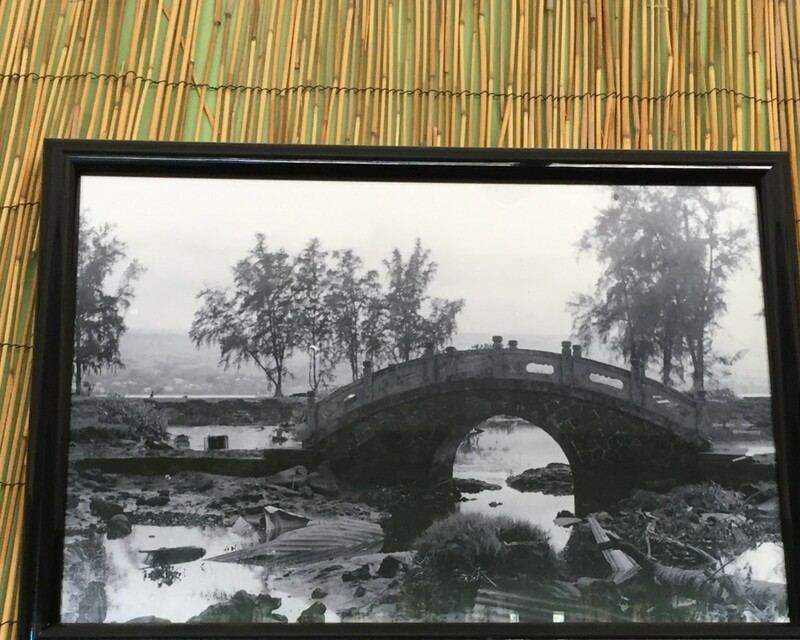 In the “Beauty of Lili`uokalani Gardens” art exhibit at the Castle Hilo Hawaiian Hotel, Stephen Davies returned to photography after a 30 year absence. This is the first contest he has entered. 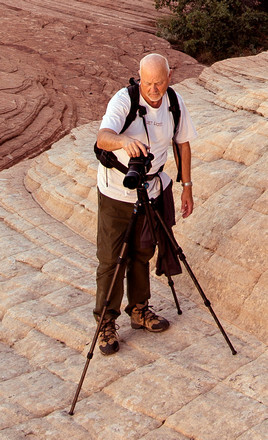 After a career in the mental health field, Davies moved to Hawai`i Island in 1998. An addition this year was a separate ballot box in the photographers’ exhibit located at the Hilo Bay Café. “Path of Reflections” by Jared Goodwin won People’s Choice in the photography category. 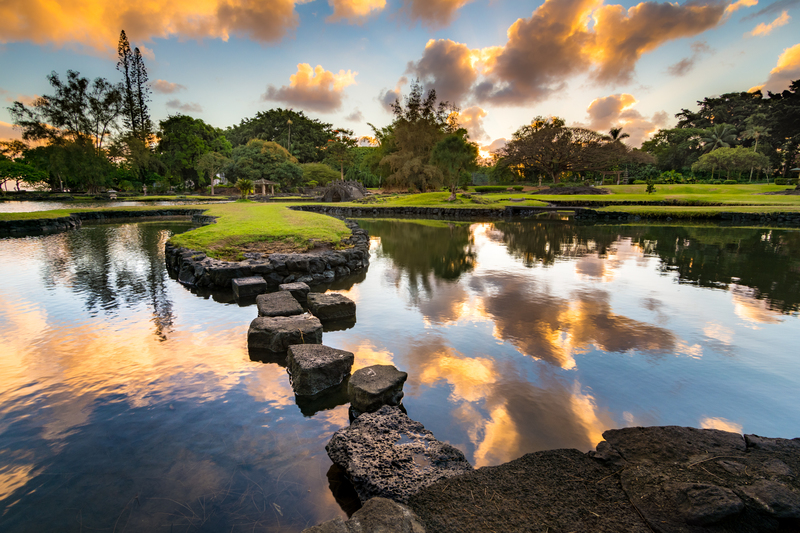 This image graces the cover of the 2018 Friends of Lili`uokalani Gardens calendar, a competition judged by professional photographer Charles Wood. The same image was recognized by art judge Darrell Orwig for first honorable mention in the art competition. 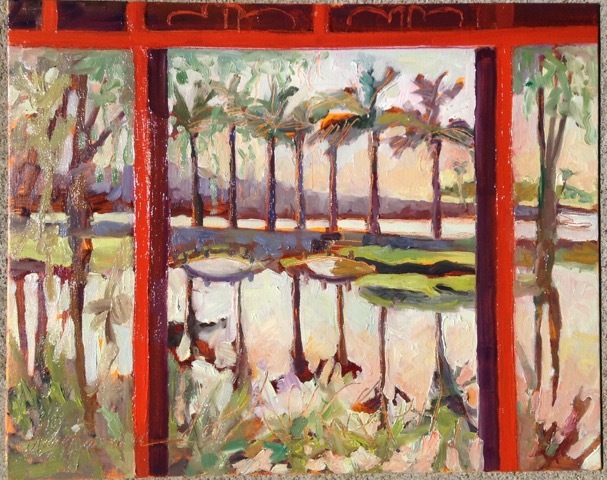 Goodwin’s work is on display at Banyan Gallery. 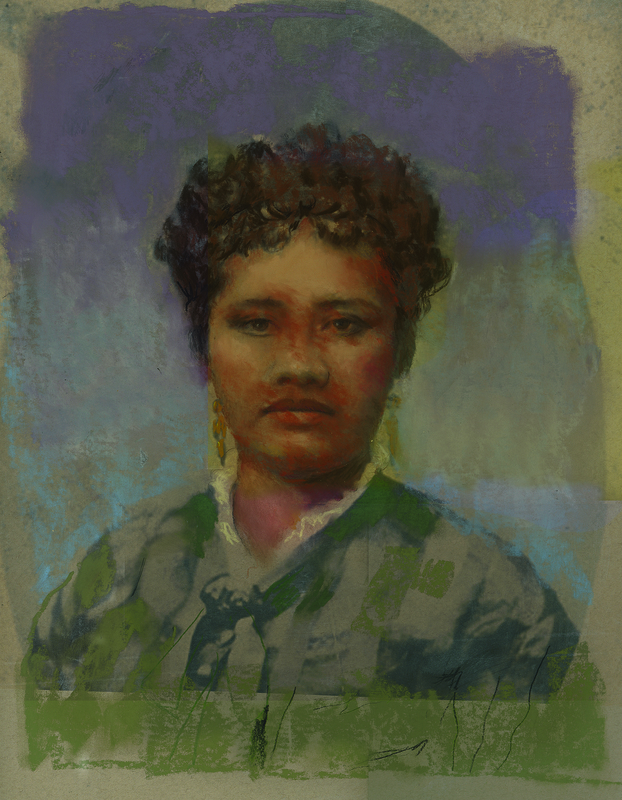 For People’s Choice, Davies was awarded a $300 gift certificate from Akamai Art Supply in Kailua-Kona. Godwin took home a $100 certificate from Cunningham Gallery and Picture Framing in Hilo. The second annual Banyan Drive Art Stroll attracted an audience of 1,000 to six venues throughout Waiakea peninsula. 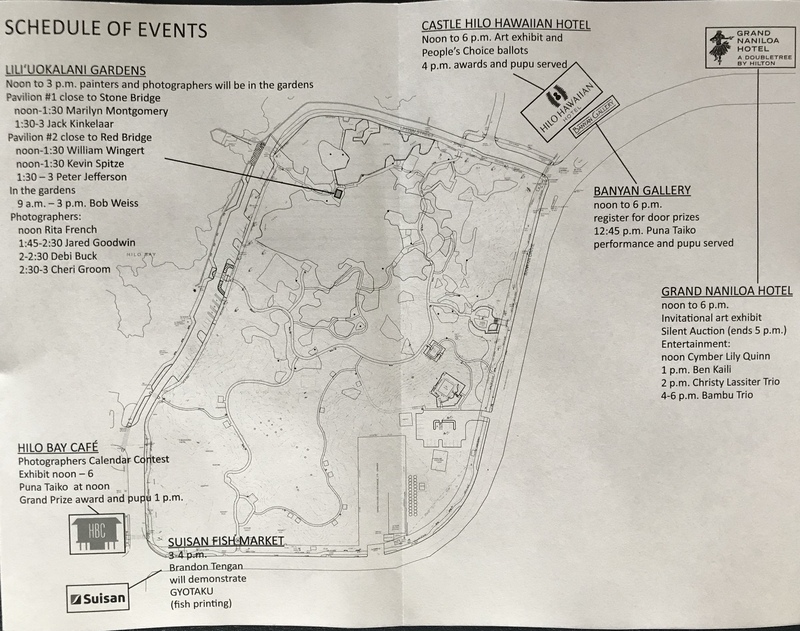 The event is sponsored by Friends of Lili`uokalani Gardens, Banyan Gallery, Suisan Fish Market, Hilo Bay Cafe, Castle Hilo Hawaiian Hotel, Grand Naniloa Hotel, Akamai Art Supply, Cummingham Gallery, and Paradise Helicopters. To keep current with news, events, and volunteer days, please like Friends of Lili`uokalani Gardens on Facebook. Comments and suggestions are welcome. Spammers and scammers don’t waste your time. All comments are reviewed before publication. 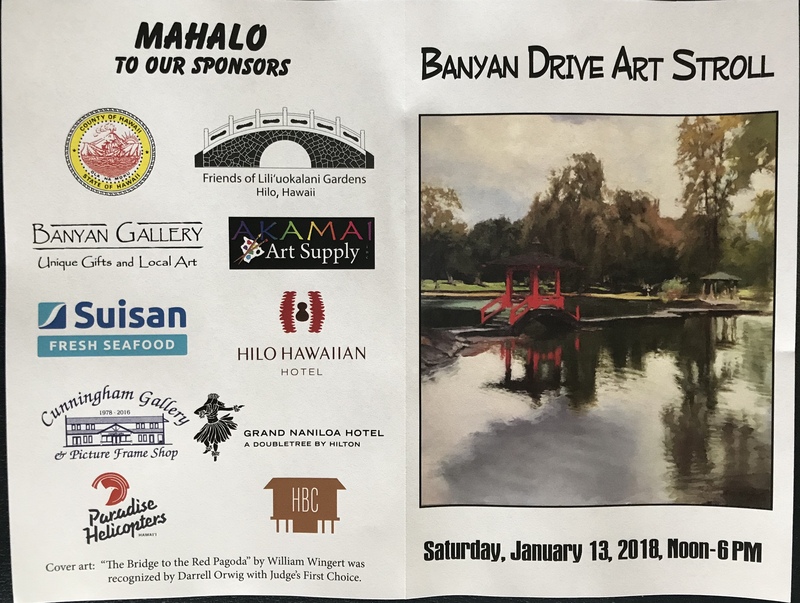 An invitational art exhibit, a silent auction, entertainment, and appetizers are among the offerings at the Grand Naniloa Hotel during Saturday’s second annual Banyan Drive Art Stroll. The invitational art exhibit will include both works for sale and prized family possessions not for sale. Works are coming from 2017 Grand Prize winner in the photography contest Kenneth W. Jackson, featured calendar photographers Paul Miyasaki and Kornelius Schorle, 2017 First Place artist Valentina Montoya, Friends of Lili`uokalani Gardens board member and professional photographer Kenji Kuroshima, and Les Takayama, to name a few. 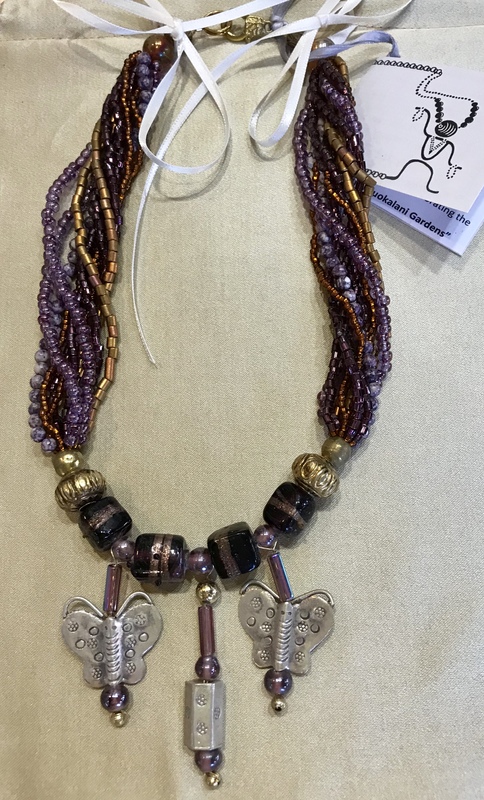 A silent auction has been added to the program to help raise funds for Friends of Lili`uokalani Gardens. Items donated include a two-night stay with breakfasts at the Palms Cliff House in Honomu, a hand-crafted necklace with custom case by Tad Sewell created in honor of the centennial of Lili`uokalani Gardens, a custom tour of Lili`uokalani Gardens for four with lunch from Suisan, chiropractic service certificate from James Clear in Keaau, gift certificates from Big Island Delights, a mosaic mirror from Paradise Plants, a boxed collection of cookies from Big Island Candies, “Love of Nature” painting by Kristin Luning, gift certificate from Basically Books, plus other items. Silent auction bidding will be done by assigned numbers. Instructions will be on a bidding sheet near each item. 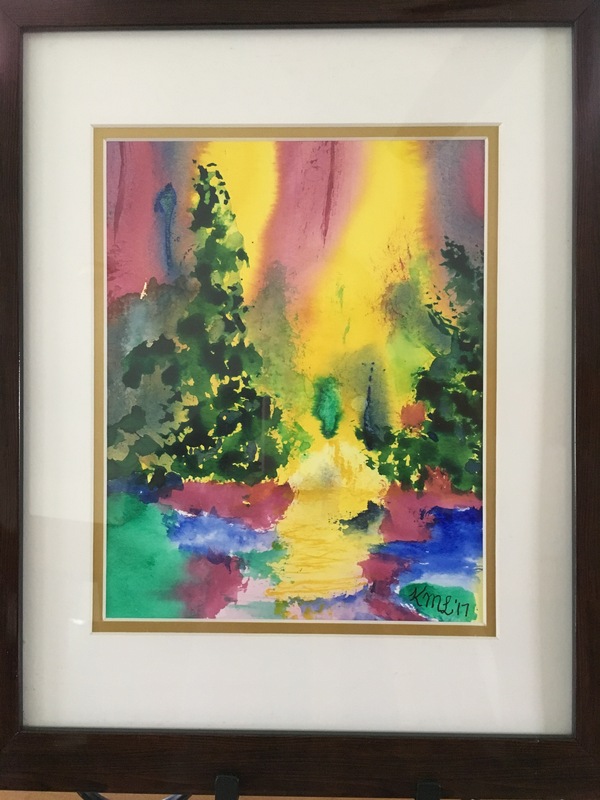 Bidding ends at 5 p.m. and successful bidders will be announced by 6 p.m. at which time items may be picked up. Entertainment begins at noon with Cymber Lily Quinn followed by guitarist Ben Kaili at 1 p.m. Miss Holly K. from KAPA Radio will be the mistress of ceremonies. The Christy Lassiter Trio will perform at 2 p.m. Slack key guitarist Ira Varize appears at 3 p.m.
Bambu, a trio featuring Desmon Haumea, Doug Espejo, and Conrad Giminiz, will wrap things up from 4:30 to 6 p.m.
More details on all aspects of the second annual Banyan Drive Art Stroll will be in a map/brochure available at Suisan Fish Market, Hilo Bay Cafe, Banyan Gallery, Hilo Hawaiian Hotel and Grand Naniloa Hotel. 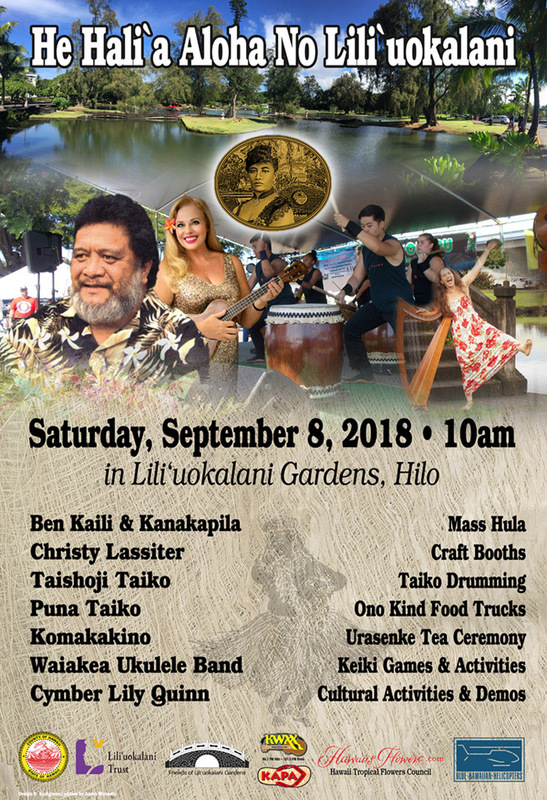 Friends of Lili`uokalani Gardens maintains a Facebook page where information on events and volunteer work days is posted. 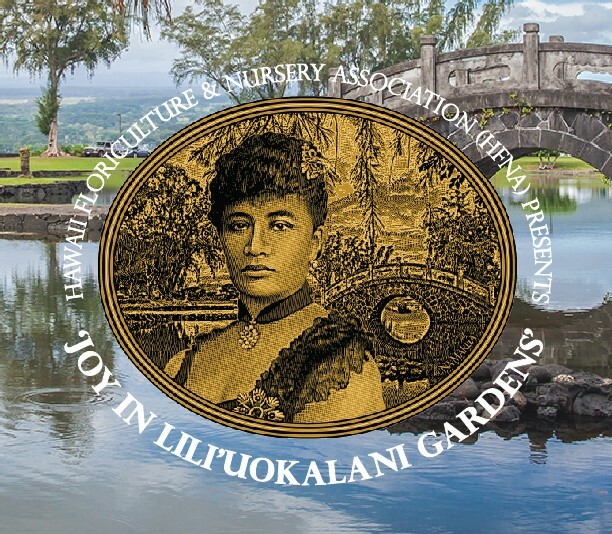 Please refer to the Friends of Lili`uokalani Gardens page on Facebook for current information on centennial events. 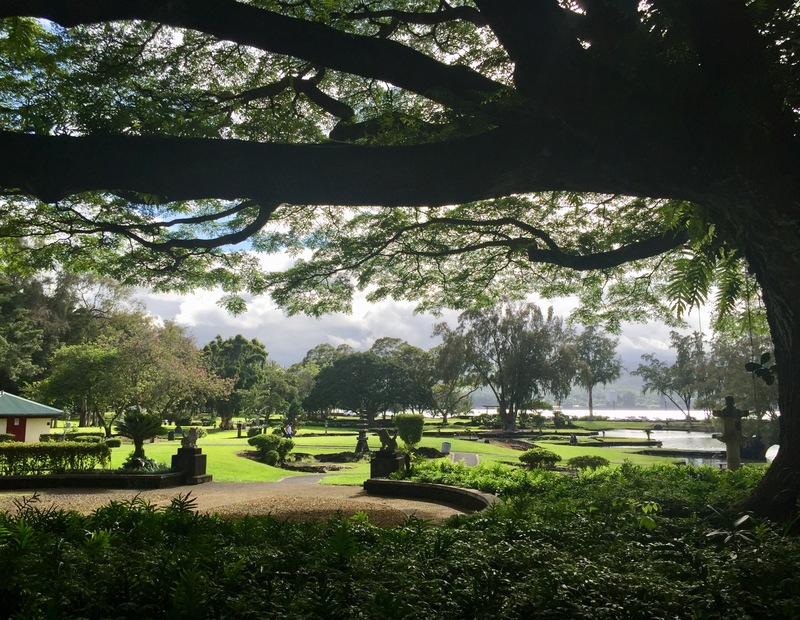 Friends of Lili`uokalani Gardens is a 501(c)(3) non-profit. Comments and suggestions are welcome. Spammers and con artists, don’t waste your time. All comments are are reviewed before posting. A floral design workshop with Hitomi Gilliam, world renown AIFD designer and educator, started in the planning stage more than six years ago. 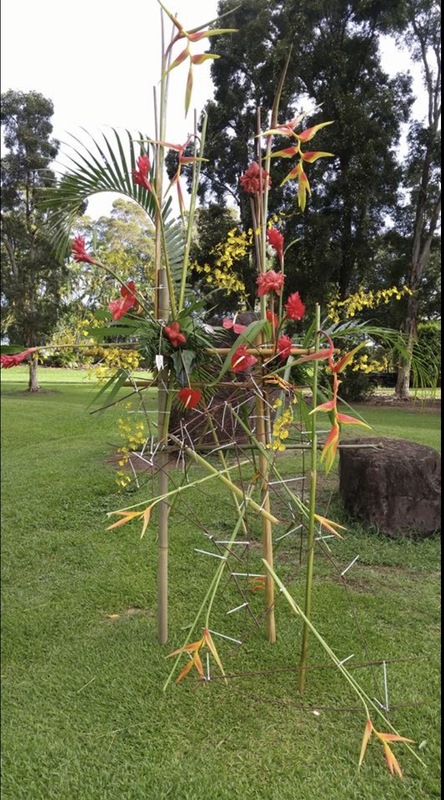 The results of a regional floral design effort in western Michigan — Nature’s Creative Edge — were seen in September 2011 and samples of the event brochures were brought home to Hawaii. 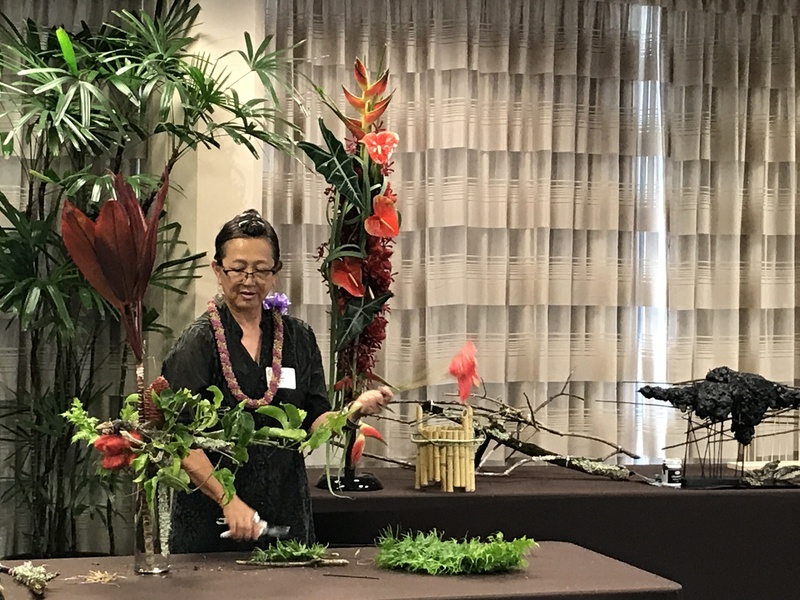 The Hawaii Floriculture & Nursery Association arranged for Hitomi to offer a design class to florists, professional and hobbyist, at the Hilo Hawaiian Hotel Saturday, August 19, 2017 after which designers moved in teams to 16 sites in Lili`uokalani Gardens. The designs remained in place throughout the weekend, were judged by professionals in the floral and landscape industries, and also were voted on by the public for People’s Choice Award. At the end of the installation day, floral design judges selected their choices. First went to Phoebe Anderson and her team for a culturally significant design near the bamboo thicket. Judges noted that the three-dimensional design made good use of the surrounding features, even to having a window through which the stone lantern might be enjoyed. Second place went to Susanne Law AIFD from Vancouver, B.C. whose design made use of the zip-ties used to attach flowers to the frame. Third place went to Shelley Hanaoka in site #12 near a niwaki pruned black pine with the Oshima sister island monument in the background. The following day, the public was able to vote for a People’s Choice award, which went to Michelle Gamble and team. Here are a few images of the other floral designs at the balance of the 16 sites in Lili`uokalani Gardens. 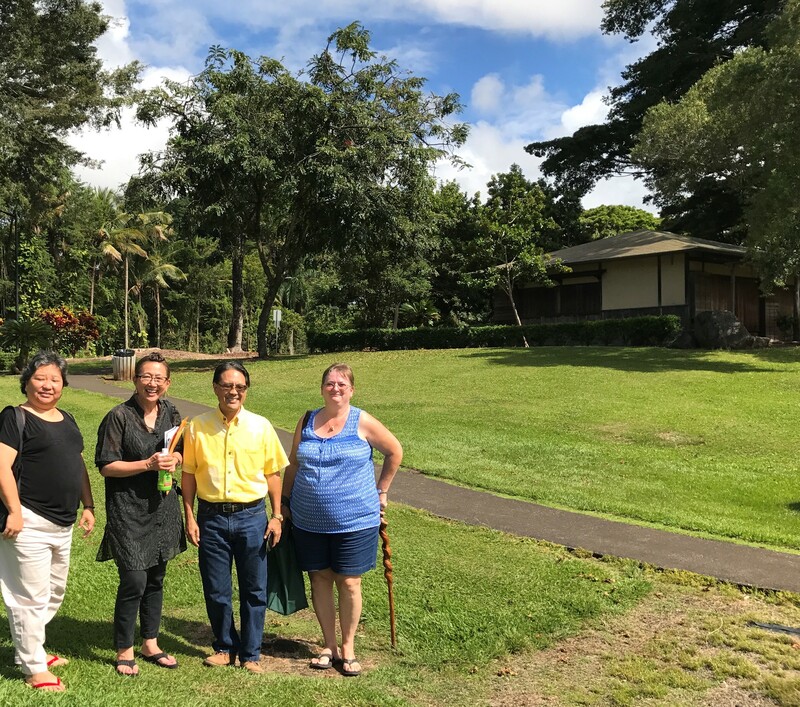 In a follow up meeting, Hitomi Gilliam, the Hawaii Floraiculture and Nursery Association, and Friends of Lili`uokalani Gardens agreed to plan for a larger event to be held next year in mid-October. To keep in touch with Friends of Lili`uokalani Gardens, please visit our page on Facebook. Please refer to the Friends of Lili`uokalani Gardens page on Facebook for current information on centennial events and volunteer work days. 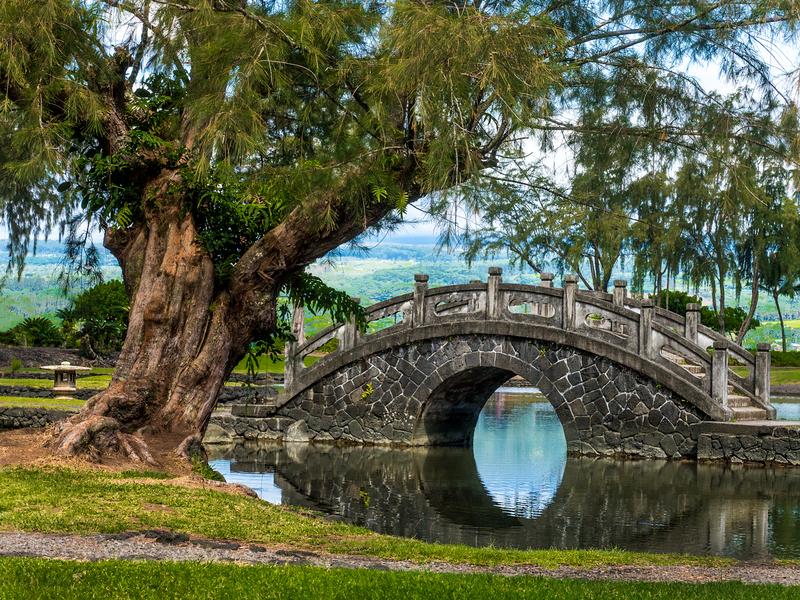 Friends of Lili`uokalani Gardens is a registered non-profit with 501(c)(3) status. The organization follows three paths: organizing volunteer maintenance, raising funds for capital improvements, and planning centennial events. 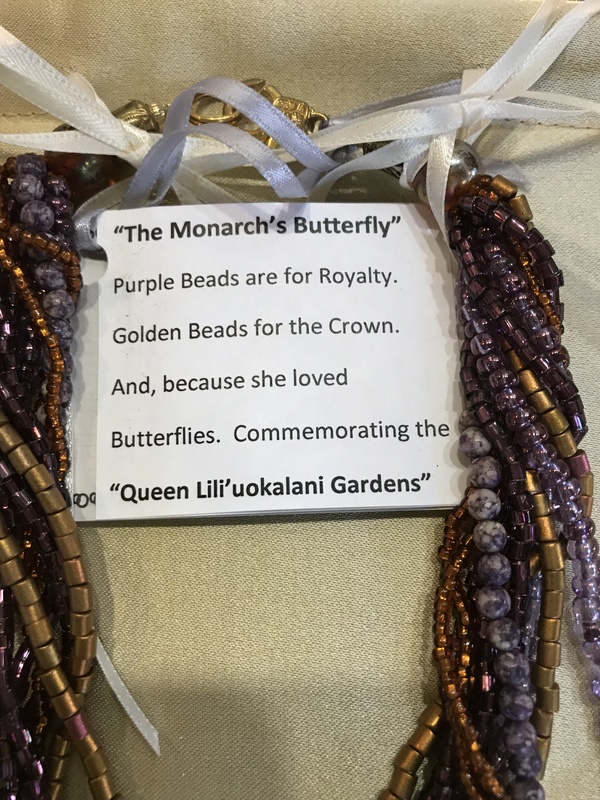 Mailing address is: Friends of Lili`uokalani Gardens, P. O. Box 5147, Hilo HI 96720.